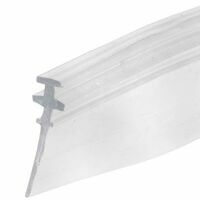 Used by several shower door manufacturers for sliding tub-enclosure doors. 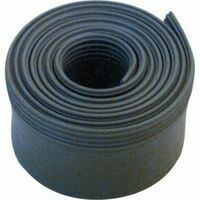 1"L x 1-9/16"W x 5/8"H overall. 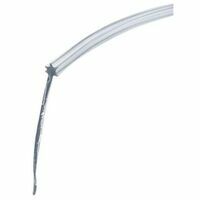 Fits 7/16" thick door rails. 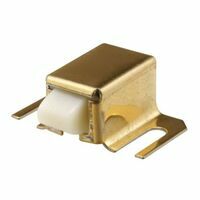 Prime-Line Door Bottom Guide, Suitable For Use With: Sliding Tub Enclosure Doors and Multiple Door Brands, 1-7/16 in Overall Length, 1-15/32 in Overall Width, 5/8 in Overall Depth, Plastic, Clear Nylon ball bearing roller with threaded hex hub. Contents: 2 rollers with #8-32x3/8 Phillips binder head machine screws. 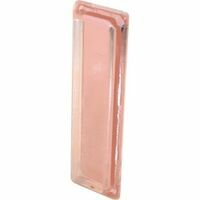 Prime-Line Shower Door Bottom Sweep, 1/8 in Width, 36 in Length, Suitable For Use With: Older Style Drip Rail Systems, Vinyl, Clear, 1-5/16 in Reach, For Use on Hinged Shower Doors Sliding shower door bottom guide edge mounts onto base frame with screws. Fits 7/16" thick panels. 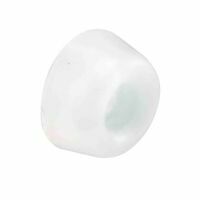 Extruded aluminum bracket; 3/4" diameter flat edge, nylon ball bearing roller; thru-glass 1/4" binder post; used on frameless shower doors.Contents: 2 roller assemblies; 2 sets of installation screws. 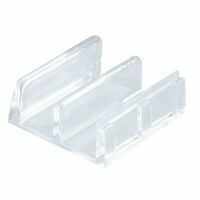 Prime-Line Sliding Panel Pull Handle, Self-Adhesive, Suitable For Use With: Sliding Medicine Cabinets or Mirrored Doors, 3-1/4 in Length, 1 in Width, Acrylic, Clear, Includes: (2) Pulls Prime-Line Jamb Guide, Suitable For Use With: Sliding Shower Door and Agalite Shower Doors, 1 in Overall Length, 5/8 in Overall Width, 7/8 in Overall Depth, Rubber, Black Used on framed tub enclosure doors. 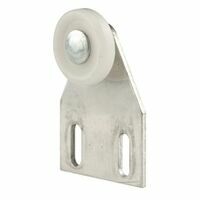 Nylon roller; stamped aluminum bracket; top hung; adjustable. 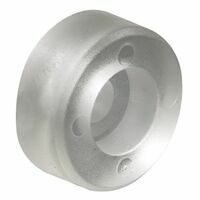 3/4" flat edge ball bearing roller. Contents: 2 roller assemblies; 2 sets of installation screws. For use on hinged shower doors. 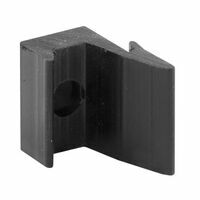 Nylon bottom guide for sliding tub enclosure doors; fits 1/2" thick door rails; snap-in tabs hold guide to track. Fits On: International. Contents: 2 guides. 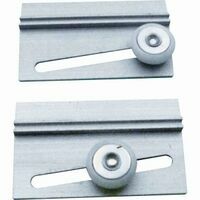 Prime-Line Shower Door Top Bracket, Adjustable, Flat Edge, 7/8 in OD Roller, Nylon Wheel, Aluminum Bracket, 1-1/2 in Length X 1/4 in Width X 2 in Height, Includes: Fasteners, Straight Bracket Prime-Line Shower Door Top Bracket, Frameless, Round, Suitable For Use With: Premier and Similar Styled Doors, 3/4 in OD Roller, Nylon Wheel, Aluminum Bracket, 2-9/16 in Length X 1/4 in Width X 1 in Height, Standard Ball Bearing, Straight Bracket Bottom guide used to keep glass door panels separated. Snaps into place on base of enclosure., Clear vinyl material.